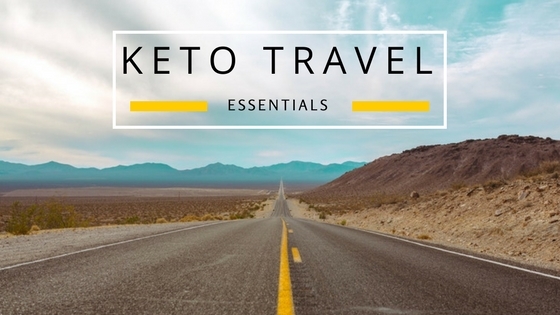 Being prepared on the go will help you to stay on track with your keto lifestyle. It is when we are caught unprepared and off guard that we tend to make decisions based on hunger rather than rational food choices when we are satisfied. Cheat meals can turn into cheat days, which will totally wreck your goals of staying in ketosis and feeling well unless you have pure therapeutic ketones in your back pocket. If you are staying in a hotel, try to opt for one with kitchen access (fridge, stove, etc) that way you can prepare meals a bit throughout the stay and you can reheat keto meals you purchased while out at a restaurant. Whether you are flying or driving, pre-pack some keto friendly snacks to have on hand so you don’t make impulse decisions. If you are able to prep some quick grab items that will last a few hours without the fridge, do so. We have made this Keto Snack List of items that you can prep and take on the run or you can grab to take out the door with little to no prep. Nowadays even gas stations are getting wise to the low carb/keto life. When in a pinch, you can find some of these by just stopping at your quick stop gas station. This is meant to be a quick snack guide to help you along on your keto journey. Life is meant to be lived and enjoyed, if you see an opportunity during your travels to try something new that you have never had- take it. Even if it means sliding a little off course, you can always jump right back on. Keto is becoming a lifestyle change for many, so restaurants and other places are becoming wise to meeting the need. Lots of places have some wonderful keto options for you, it just might take a little extra effort to find them. We hope this helps take out some of the guess-work.